Flooring is a crucial element in healthcare settings so choosing the most appropriate materials, and employing the correct cleaning methods, are essential tasks for all healthcare facility managers. John Parker, director for marketing of Alphaclean, explains. Flooring has a lot to live up to when it comes to healthcare environments; in fact it’s hard to think of any other locations where floor surfaces are expected to deliver so much. It has to withstand some extremely harsh treatment, not just from the constant heavy traffic of people working in, visiting, or using the facilities, but also through the movement of equipment such as beds, trolleys and various items of medical machinery. It’s expected to provide a safe environment for staff, patients and visitors, minimising the risks of slips and trips, but cushioning and protecting them from serious injury if the worst happens. And with staff spending a significant part of their shifts on their feet, flooring is also expected to deliver an ergonomic surface that can help to ease repetitive stresses and strains. A facility manager’s wish list doesn’t stop there, though. 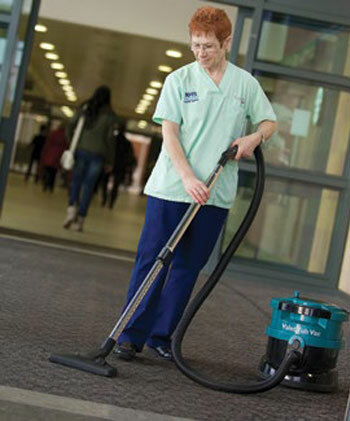 Hospital flooring also needs to be long-lasting, easy to clean and maintain, and help prevent the spread of infections – and all the above needs to be delivered in the most cost effective way possible. for healthcare providers. People visiting or receiving treatment in these environments are already vulnerable to the spread of infection, so making sure that effective cleaning regimes are in place for waiting rooms, corridors, reception areas and wards, is key. A clean and welcoming environment is also important from an aesthetic point of view, engendering feelings of wellbeing and trust in people who are anxious or unwell. Standard 3: Preventing and Controlling Healthcare Associated Infections (HAIs) forms part of the Australian Commission on Safety and Quality in Healthcare’s Improvement Guide, which was published in October 2012. Cleaning, disinfection and sterilisation is one of the key criteria in the standard because, the guide explains, ‘there is increasing evidence of a link between a clean, hygienic healthcare environment and reduced risk of infection transmission to patients’. It goes on to state that policies, procedures or protocols for environmental cleaning which address the principles of infection prevention and control should include: maintenance of building facilities; cleaning resources and services; risk assessments for cleaning and disinfection based on transmission-based precautions and the infectious agent involved; waste management within the clinical environment and laundry and linen transportation, cleaning and storage. Keeping a healthcare environment clean is a constant battle, as there are so many opportunities for contamination and transmission. Hands, surfaces and airborne pathogens mean that cleaning needs to be constant and meticulous. Infectious micro- organisms can enter the air by a variety of routes including sneezing, coughing, skin shedding, patient treatment, and activities such as bed-making. Infection control teams are increasingly requesting that neutral detergents and taurine-based products are used to clean safety flooring – but these need to be applied by a machine to be truly effective. Operatives using conventional mops can’t put enough pressure on the floor to ensure total efficacy. Neutral detergents will only work effectively in a machine as they need the thoroughness provided by brush agitation. Brushes should be colour-coded to prevent cross contamination. Those made from materials such as poly-propylene don’t harbour bacteria like natural fibres and are easy to disinfect. 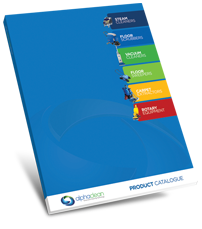 These are all crucial points to consider when selecting cleaning equipment, as are the speed and pressure at which brushes operate. Too much friction can cause burn marks to floors, so this aspect should be thoroughly researched before any purchasing decisions are made. As well as ensuring all operatives are fully trained and equipped with the right equipment or machinery to clean each specific location, there are other ways they can contribute to preventing cross contamination, once cleaning has been completed. Micro-organisms thrive in warm, moist environments, and dust can enable them to become airborne. The following steps should be followed with floor cleaning machines: after use, ensure all water tanks, both clean and dirty, are emptied; clean and rinse through both water tanks; clean and rinse squeegee assembly and blades; clean and rinse all hoses; leave all tanks open to air dry; and wipe clean all outer surfaces. Slip and trip accidents are another great concern in healthcare settings, with their potential to create significant extra costs including lost time, additional care requirements, and financial claims from those who have been injured. By selecting battery-powered machines, with no trailing leads, and ones that have the ability to leave floors clean and dry in a single pass, facility managers can help to reduce the risks of slips and trips occurring. However, there are other, less obvious safety issues that also need to be considered, namely noise. Noise can be an unwelcome irritation in all walks of life, but it can be especially upsetting for patients who need a calm environment in which to receive treatment and recover. Thanks to our aging population more dementia sufferers now require regular hospital care. Noise is a known stressor for people with dementia and some people can become so hypersensitive to sound that they cannot focus on anything else until that sound is removed. It’s clear that healthcare flooring needs to possess a wide range of attributes – but selecting your surfacing materials is just the first step. Installing new flooring is an expensive business, especially so when healthcare budgets are under such enormous pressure. The correct cleaning and maintenance methods can ensure that they remain viable for as long as possible.